Our thoughts and prayers are with the families of Alton Sterling and Philando Castile, the two African-American men who were shot by police within 24 hours of each other. It is haunting that only two years ago I delivered a speech in St. Louis in the aftermath of Mike Brown's death denouncing systemic racism in the United States. Since then, hundreds of people have lost their lives in incidents involving police officers and African-Americans continue to be disproportionately impacted. 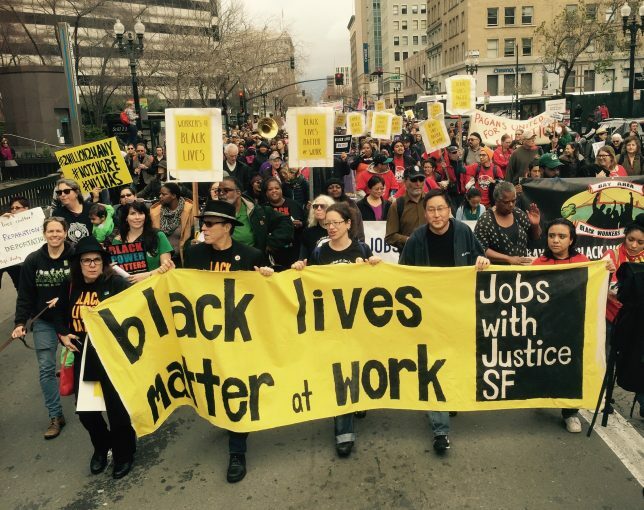 Labor cannot and will not sit on the sidelines when it comes to racial justice. 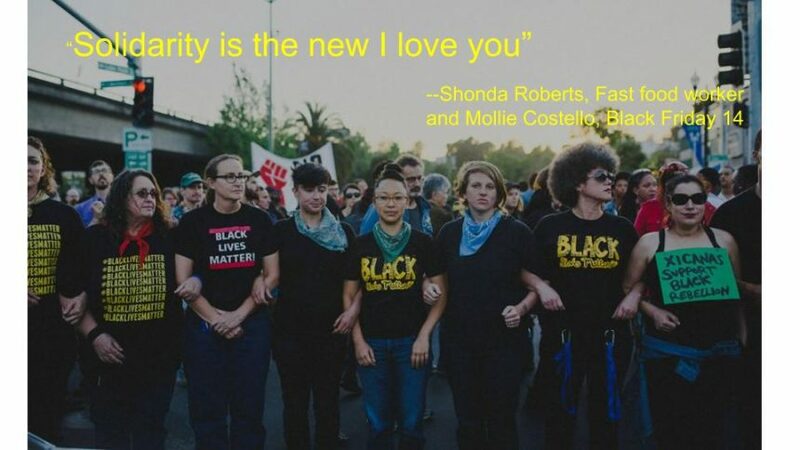 It is not enough to simply say, "Black Lives Matter." We must and will continue to fight for reforms in policing and to address issues of racial and economic inequality. Castile was a member of Teamsters Local 320. Here is the local's statement on his death. Words cannot express to you how hurt and distraught I am to see the recent killings. Two Black men in Louisiana and Minnesota, including one we know was a union brother, died at the hands of police violence. And, the tragic news that police were murdered while doing their jobs compelled me to reach out to you. Together, we must press for an end to killings. And, we must heal together. Share this graphic in honor of these families, using the hashtag #1uEnough. We have rightfully spent the past year having internal conversations with union members around racial and economic injustice, and I will proudly stand behind any report or recommendations that guide the labor movement towards being a more just environment and a stronger advocate for workers of color-but that is not enough. We are speaking with local labor leaders and activists to join their efforts and respectfully uplift their everyday experiences. As leaders, we are joining together to determine how to boldly respond as a movement, and how to come together across our membership. In this moment of crisis, I am humbly reaching out to you for support. We will not wait for another person to die to take action. Please share this graphic and join us as we demand resolution to the violence that is destroying our communities. As members of unions and workers organizations, we are committed to the labor movement's core principle of solidarity. Solidarity is our weapon against powerful forces who do not value us, our work or our dignity. And from the days of chattel slavery to today, we recognize that the powerful force of racism devalues Black work, Black dignity and Black life. We stand for the right to due process and we do not stand for police impunity in taking the lives of Black fathers, mothers, sons and daughters. We cannot stand for the racism that allows such impunity. We deeply believe that our struggles for economic justice and racial justice are inextricably linked. The attack on public sector workers is an attack on a sector where 1 in 5 Black adults work and have had access to jobs. The Fight for $15 is a fight for disproportionately Black and immigrant low-wage workers, for all low-wage workers, and a fight for the value of all our work. Solidarity is our weapon against powerful forces that would devalue our work and our lives. Solidarity is our weapon in our struggle for justice. We stand in solidarity with the Movement for Black Lives and call on our police unions to support justice and real accountability for police officers killing and perpetrating violence against Black people. Other allies: Coleman Advocates for Children & Youth, Senior & Disability Action, Grey Panthers, Causa Justa :: Just Cause. Left Labor Project urges trade unionists of AFL-CIO unions to send letters to local union leaders urging that the federation press for action to stop and prevent police killings of people of color. AFL-CIO leaders are reaching out to local union leaders on actions that can be taken to stop the killings. See the two AFL-CIO statements and a model letter that can be used to send to our local unions and labor councils (click below). Please let us know if you send a letter and any response that you receive. I am writing this letter in response to a call by the AFL-CIO for ideas on how to stop the shootings of Black and Latino unarmed people in our nation's cities. Executive Vice President Tefere Gebre informs us that the federation is speaking to local union leaderships to determine how to "boldly respond as a movement, and how to come together across our membership." Our local union membership is impacted greatly. We see the horrific videos capturing point blank shootings of unarmed Black people at the hands of police around the country. The emotional impact felt by Black, white, Latino, Asian, Native American members at our workplaces must be addressed by positive action by organized labor to stop these modern-day legal lynchings, and end the rampant harassment that disproportionately impacts people of color. 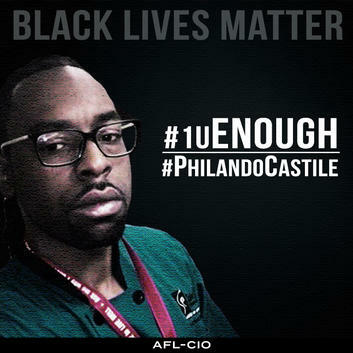 President Trumka noted that Philando Castile was a union member and the family that is mourning his loss is a union household. This is family. Our trade unions are in the most powerful position to provide leadership in our communities that are being tore up with police violence and the arrests of people engaging in protest, and most recently, killings of police. 1. The AFL-CIO should seek to support local initiatives that are pressing for civilian control of police. For example, in Chicago a movement is in motion to press for a Civilian Police Accountability Council (CPAC). A Control Board is more than a Review Board. It would establish democratic control by an elected board with full transparency in investigations of police misconduct and insure accountability. 2. The Federation must press for uniform national standards for local police departments, fully enforceable by the Department of Justice and the U.S. Attorney's office. 3. New York State moved to require a special prosecutor in police killings, an important step forward after the killing of Eric Garner. Short of a civilian control board, a special prosecutor should be required in all cases throughout the country where police are involved in killings, or where victims die in police custody, no matter the color of the victim. 4. 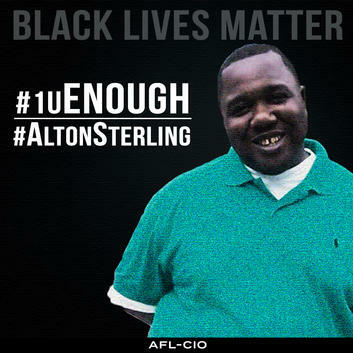 The AFL-CIO should seek ways to actively support the Black Lives Matter movement. I hope our local's executive board will consider the above suggestions and forward them on our behalf to the AFL-CIO leadership.